We can now offer all of our stock patterns in Coloured Laminated Birch. This material is very good quality and denser than most other comparable laminates that are on the market. 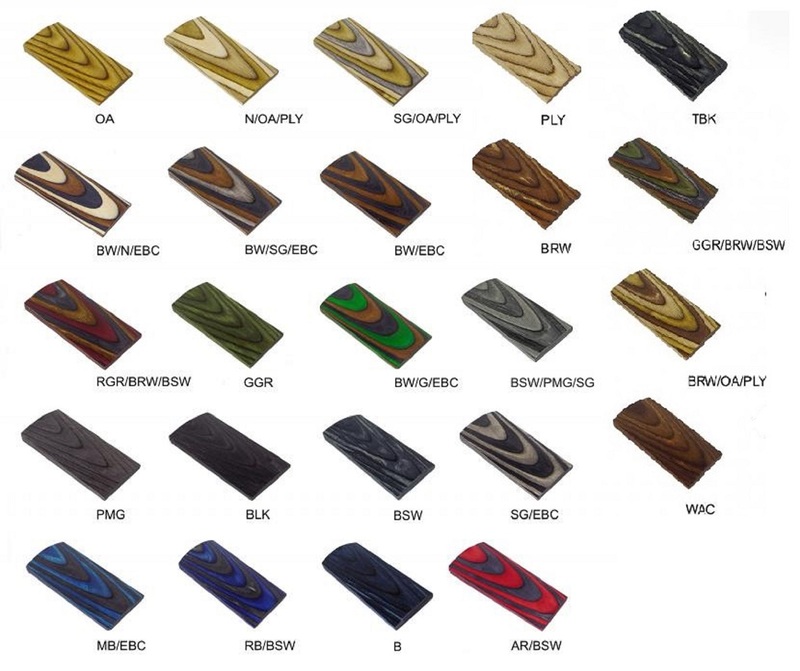 It comes in a wide range of colour combinations, and customers can also have their own custom blanks manufactured using their own desired colours (for a small extra fee) Contact us for more information on pricing and colour availability etc.